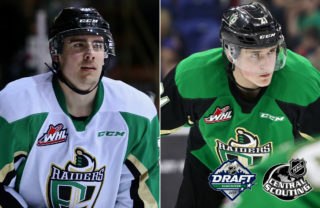 Prince Albert, SK – The Prince Albert Raiders are pleased to announce that the club will celebrate the Western Hockey League’s 50th season by wearing a special edition retro jersey during their home opener on September 26. 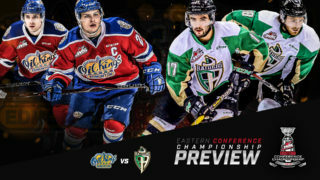 The retro sweater replicates the one worn by the club from 1971 to 1982 when the team won eight league titles as a member of the Saskatchewan Junior Hockey League and four Centennial Cups as National Junior A champions. The jersey features “Raiders”, written in varsity-style block lettering with the player’s number on the front. The jersey’s primary colour is cream, giving it a vintage look, along with the club’s traditional forest green and gold. 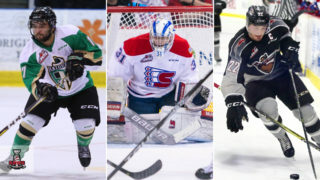 As part of their home opener and the celebration of the WHL’s 50th season, the Raiders and the WHL will recognize alumni Kenton Rein for his scholastic achievements outside the game. 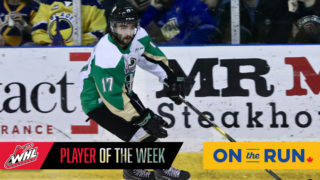 A native of Saskatoon, SK, Rein played three seasons in the WHL, dressing in 74 games with Prince Albert. 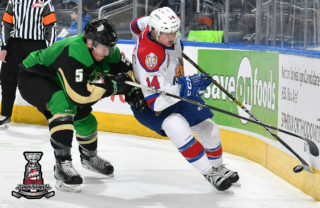 Rein was selected by the Buffalo Sabres in the 10th round, 194th overall, in the 1986 National Hockey League Entry Draft and would play three season of professional hockey after graduating from the Raiders. Rein is now a lawyer in Calgary, AB. 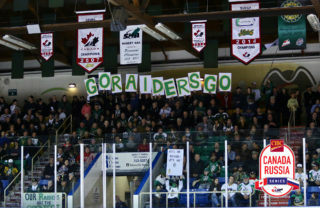 Home opener festivities will get underway at 4:00 PM on Saturday, September 26 as the Raiders host the rival Saskatoon Blades. Outside the Art Hauser Centre, Prince Albert Co-op will hold a BBQ, with PJ Castles providing bouncy castles for kids. Inside, the Ches Leach Lounge will open early for beverage sales and live music prior to the game. 900 CBKI will be live on site from 4:00 to 6:00 PM.